COLUMBUS, Ohio (AP) — Riding a seven-game winning streak, No. 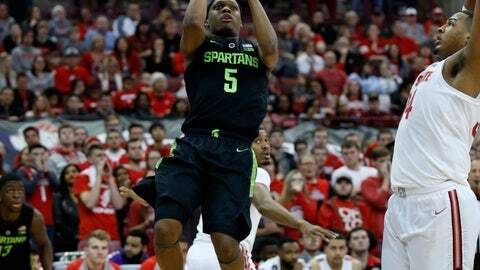 8 Michigan State came to Columbus to play No. 14 Ohio State with captain and scoring machine Joshua Langford sidelined indefinitely with an ankle injury. The team’s two other veterans had to pick up the slack.